Touchstone small resort Sochi is located in Krasnodar region on the Black sea, and this means that there tend to get many Russians who wish to rest in the South. If you decide to spend your vacation in Sunny Dzhubga to get here any way is not difficult. If you decided to use the aircraft, you can purchase tickets to any airport in Krasnodar region and arrive in Adler, Anapa, Gelendzhik or Krasnodar, where you prefer. From Krasnodar airport you can take minibus No. 53 in the terminal area to reach the center of the capital of Kuban to the bus station Krasnodar-1. Hence take the ticket to Dzhubga or to Tuapse or Sochi, buses in these cities are also going through it. If you arrived to Anapa or Gelendzhik, you also need to drive to the city center to the bus station and get bus tickets sent to Drugbu, Tuapse and Sochi. From Adler airport you drive in Sochi to the bus station and buy a ticket on any bus on Tuapse – Dzhubga past none of them will pass. For those who prefer to travel by train, too, will not be able to drive directly to the resort – have to take a ticket to Anapa, Novorossiysk, Goryachy Klyuch, Tuapse, or. Of these cities to reach the village of Dzhubga, you can a Shuttle bus or a taxi, but keep in mind that a comfortable bus with air conditioning will cost cheaper several times, and they go quite often. Closest from Dzhubga located railway stations of the cities the Hot Key, Tuapse, from them to the village just over 50 km, by bus you can drive to it in an hour. Journey time by bus from Novorossiysk – about 3 hours from Anapa about 4-H. If you go on vacation to the South by car, nearest road will pass through Krasnodar. And here you should choose the track leading to the sea via a Hot Key. After passing this town on the highway running at 50 km you will see a fork in the road and a traffic police post, turn right turn will lead you to Gelendzhik and Novorossiysk, and turning from the post to the left, you have 5 minutes to arrive in Sochi. 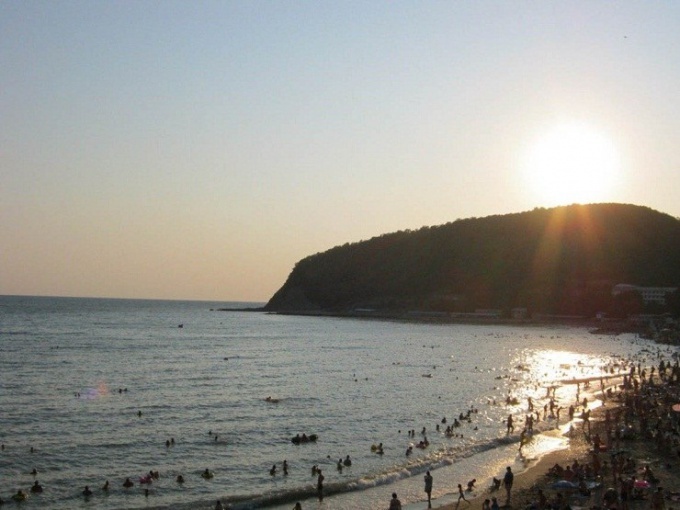 Recently, the city of the black sea coast were again popular with holidaymakers, so booking places in advance is better.